My name is Geoff Burt and welcome to my professional portfolio website. I specialize in producing video for online corporate training. 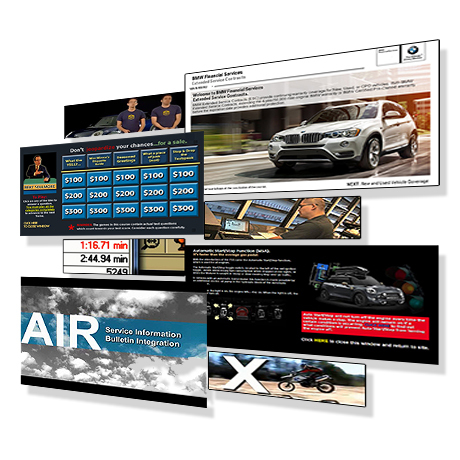 Recent clients include BMW Motorrad USA, BMW Financial Services, MINI USA and the Oracle Corporation and Chobani. Previous clients have included: AXA Equitable, American Express, Citigroup, Goldman Sachs, the Hertz Corporation, and Horizon Blue Cross Blue Shield of New Jersey. Put my multimedia production experience to use for your next training program or video project. View video project samples by following the "VIDEO CLIPS" link above. I have produced more than 250 online courses for corporate Learning & Development Organizations. Click the "INTERACTIVES" link above to view actual interactive sample course pages.